Care2 Healthy Living | Going Gluten-Free? Gluten is a specific type of protein, but found in plant sources rather than animal products. Gluten is found in wheat, rye, and barley, so going gluten-free means giving up these grains. A gluten-free diet is essential for people with gluten allergies or celiac disease, a condition which causes intestinal damage when gluten is eaten. People on a gluten-free diet need to really learn the key words on labels since many ingredients aren’t that obvious. Of course you’d steer away from ingredients like wheat, wheat gluten, barley, or rye. But some foods have not-so-obvious gluten. Two terms to watch for are malt (which is made from barley) and hydrolyzed vegetable protein (it often contains wheat). Oats may offer an alternative for those eating gluten-free, for some they may increase symptoms, such as abdominal pain, bloating, and diarrhea. Cereal: Most conventional breakfast cereals are another no-no for people on a gluten-free diet. Cream of Wheat? Obviously not, but also any cereal containing wheat, barley, rye, or malt. Select corn and rice-based cereals, but be sure to read labels carefully and look out for malt. Pasta: There are many types of gluten-free pasta on the market now, look for pastas made from rice, corn and potato blends. 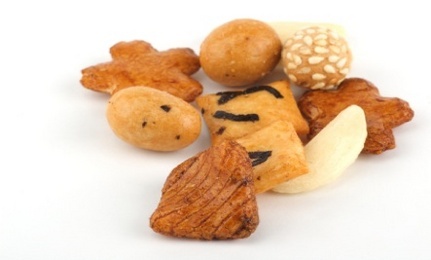 Crackers: Swap traditional crackers for rice crackers, rice cakes and corn chips. Popcorn can also fix crunchy/salty cravings. Cocktails: Beer isn’t beer without barley malt–if you have drink from time to time, instead opt for wine or drinks made with alcohol. Go info however I don't really like the pasta made from rice they have a corn one that is better and doesn't melt when cooked.